We've had you vote on your favorite monitors, mice, keyboards, desk chairs, and mouse pads, but we still need some sound. 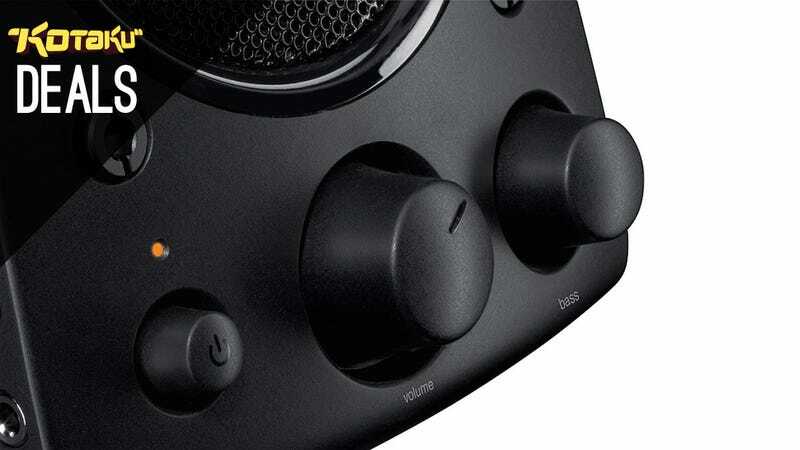 There's a time and a place for the quality, privacy, and immersion that headphones provide, but today we're nominating desktop speakers. Jump in the comments section and tell us about your favorites, even better if you drop in a link and/or picture. Lifehacker tackled this one back in 2012, so feel free to look to there for inspiration and arguments. To further clarify, this is a vote for speakers intended for desk use, not 5.1 surround systems (which you can find another vote on below). Bookshelf speakers may be considered.